Kait grew up in Massachusetts then moved to Connecticut to pursue Dental Hygiene. She graduated from the University of New Haven and was inducted into the school’s Dental Hygiene Honors Society. She has worked in the Dental field for the past decade and has practiced Dental Hygiene in numerous settings including Pediatric, Orthodontic, clinical and private practices. She has dedicated herself to educating her patients about oral health and overall well-being as well as guiding them through their dental appointment in a gentle and thorough manner. 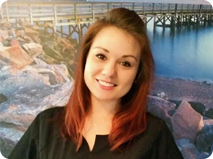 Kait goes above and beyond to help her patients have a memorable and enjoyable dental experience. Kait and her husband, Brian-who is also a graduate of the UNH Dental Hygiene program-live in Milford with their infant son and their black lab, Logan. Outside of work, she enjoys hiking, baking, and road trips. 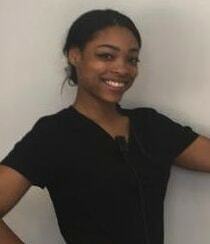 Lauryn joined the Parkway Dental team in April of 2017 as a Dental Assistant extern while attending school. She joined our team on a permanent basis in May of 2017 after she graduated from her program. Lauryn is born and raised in Fairfield County. She was drawn to the dental field as a result of negative experiences at the dental office when she was young and it inspired her to want to make others feel more comfortable when visiting the dentist. 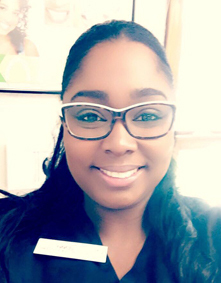 Lauryn strives to ensure that every patient she encounters feels welcomed, is comfortable, leaves with a smile on their face and with a positive impression of visiting the dentist. Lauryn plans to further her education in the dental field by attending Dental Hygiene school in the future. Away from the office, Lauryn enjoys spending time with her 2 year old daughter doing arts and crafts. Her daughter is the love of her life! Marianna joined Dr. Patel’s team in February of 2018. Marianna’s experience, strong leadership skills, and an unwavering commitment to quality care and customer service are perfectly aligned with Dr. Patel’s vision for her practices and will ensure the highest level of care for her patients. 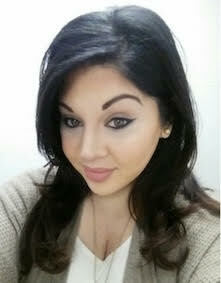 She is a graduate of Iona College with a Bachelor’s in Biology and Chemistry. She has been in the Dental Industry for over 10 years. She started her career in the dental field in 2008 in a Pediatric/Orthodontic practice. She then moved on to manage a very successful dental practice on Wall Street in Manhattan. From there, she moved up to the role of Regional Manager for a Dental Corporation consisting of 10 practices. Marianna’s favorite part of her job is being able to build teams and form lasting relationships with the office staff, and more importantly with the patients. In her spare time, she enjoys family gatherings and devotes every second to her baby boy. Jenny attended Naugatuck Valley Community for general studies and later transferred to University of Bridgeport to obtain an associates degree in Dental hygiene. She later continued with her studies and obtained a bachelors degree in Health science. In her spare time Jenny enjoys reading and during the summer time loves going to the beach. She looks forward to meeting all our patients at Parkway Dental and ensuring they have the best visit possible. Have Questions? Call Us Now (203) 408-2248 OR Schedule Your Visit!